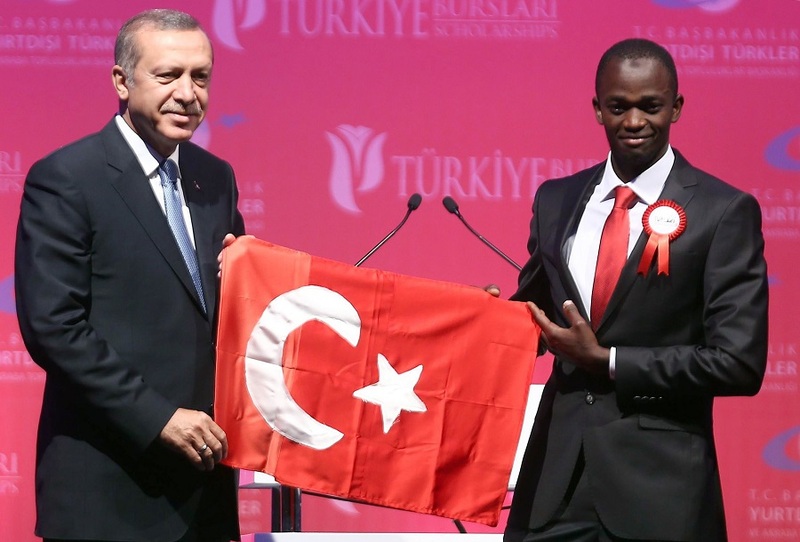 Turkey’s President Tayyip Erdogan (left) holds a handmade Turkish flag given to him as a gift by Cemil (right), a Ugandan university student, during a graduation ceremony in Ankara, June 11, 2015. Remember when the BRICS were going to power the global economy? Well, the past few years have not been kind to Brazil, Russia, India, China, and South Africa. With the exception of India, the other members of this once elite diplomatic club are struggling in many different ways. So while China and other emerging markets have pared back their investments in Africa, this has opened an opportunity for new players to step in to the market. Although Turkey’s annual trade with Africa is just a tenth of China’s, the Turks are making a big push in strategically important areas in North Africa. As a Muslim country, Turkey also has a number of key advantages when competing in this region, particularly against the Chinese who are still relative new-comers operating in predominantly Islamic cultures. Former U.S. Ambassador David Shinn is an expert on Sino-African relations but recently has turned his focus to Turkey’s investment in Africa. As a former U.S. diplomat and now an adjunct professor at George Washington University in Washington, D.C., Ambassador Shinn is uniquely qualified to place Turkey’s engagement in Africa in the broader context of U.S. and Chinese diplomatic and economic engagement in the region. Ambassador Shinn joins Eric and Cobus to discuss the changing landscape of foreign investment in Africa.